Smoke and fumes are sub-micron particulate by-products created by manufacturing processes such as welding, rubber and plastic processing, high speed machining with coolants, tempering and quenching. Assembly lines are equipped with source-capture industrial air filter systems to remove water and reduce the amount of mist, aerosols and fumes in the atmosphere. Often times, the mist pulled from the source will coalesce or unite into a hardened substance in the duct work and post a fire hazard. Coalescing filter elements, commonly called mist eliminators, are also needed to capture oil mist found in return air of industrial machine shops and remove water and oil droplets from cooling coils and evaporative media or unevaporated moisture downstream from humidifiers. Metal Mesh Oil or Water Mist Eliminator (Model MME) is constructed of multiple layers of metal mesh, expanded through specified feeds to assure maximum filtration and internal loading capabilities. The metal mesh media is supported within a 1″ or 2″ thick galvanized steel frame. Synthetic Mist Eliminator (Model SME) is designed to utilize the natural affinity between plastics being processed and the plastics used in some of the washable media filter. Model SME filter has a stainless steel frame and contains variable layers of honeycombed, corrugated and tubular monofilament polypropylene media sandwiched between two structural outside panels, offering a significant surface area within the air filter for coalescing to occur. Tested in ope ration, Permatron’s synthetic coalescing air filter yielded 2.5 lbs. of “gunk” in eight hours and kept duct work free of buildup. 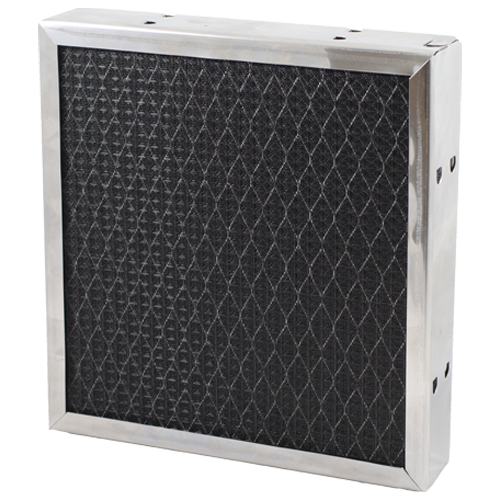 Coalescing filter elements or mist eliminator air filters can be custom designed and sized to fit any application specifications. Wash with soap and water as needed. Model MME and Model SME both carry a 5-year warranty. You really put the “Service” in Customer Service. So many people would have just said no. I appreciate your taking that extra step by referring me to Reilly Foam. Permatron customers are lucky to have you in their corner. Thanks for all the help. The distributor you got me in contact with sent me the three PreVent Model R filters I was looking for. They are working great. Thank You. Everything was correct & professionally served, finely crafted with accurate dimensions of quality material. 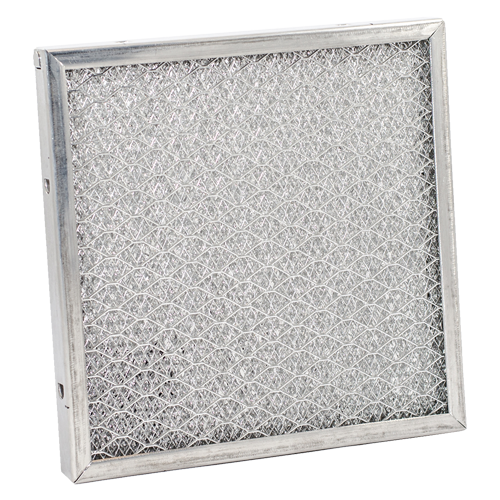 I will purchase further metal mesh filters from your firm in the future as demand calls for. The order process went very well. We received the black washable fan bonnets 2 weeks ago and are very happy. I will order again in the future. Great product and great service. Thank You! Permatron coalescing filters, commonly called mist eliminators are available to capture oil mist or water droplets found in industrial machine shops and cooling coils.